What do you do with leftover pork? Put it in a sandwich of course! But not just any old sandwich, the mother of all sandwiches. First, you pull the pork into pieces which will fit between your bread of choice. Then, because mine had quite a bit of nearly crackling/fat on it, put it in a dry pan and crisp it up letting the beautiful fat render into caramelized loveliness. 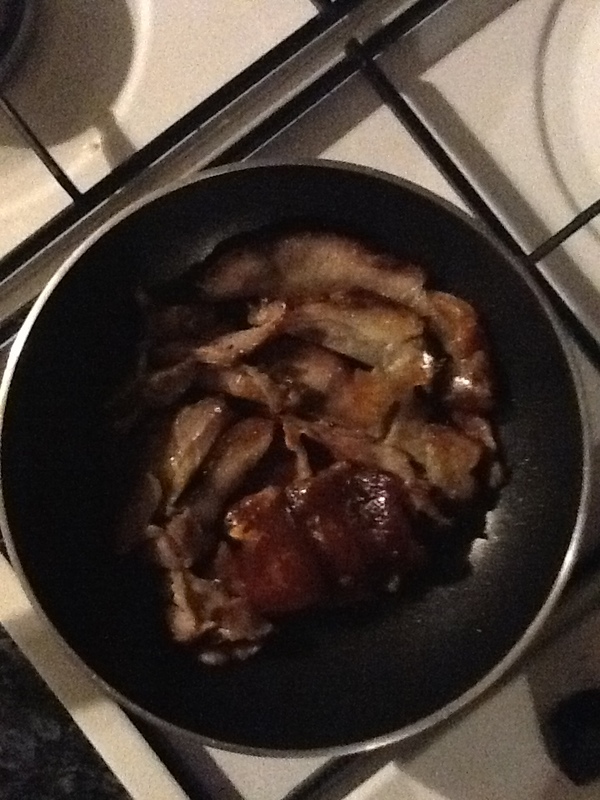 Then you add what’s leftover of the pan juices, toss to coat and reduce to a glistening, porky glaze. 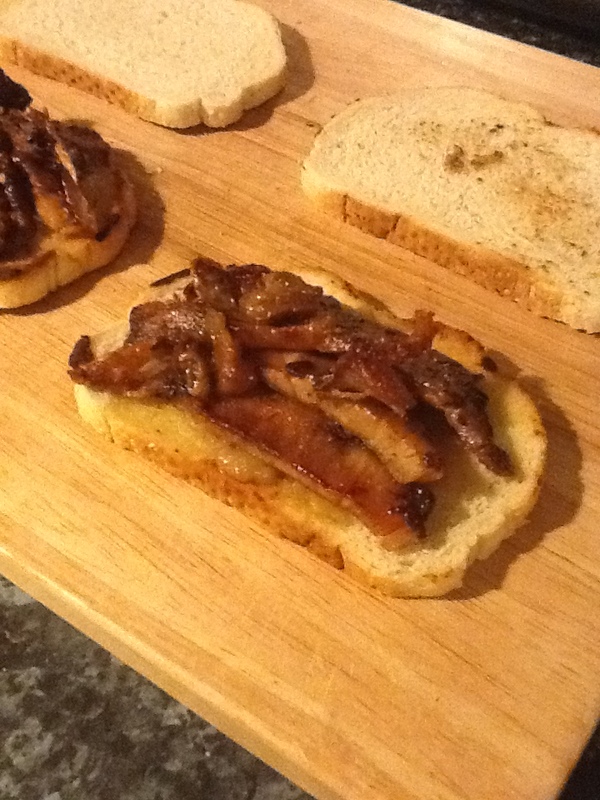 Toast your bread of choice on one side in the pan to soak up all the juices and gravy – don’t waste a drop. Spread applesauce (homemade of course!) 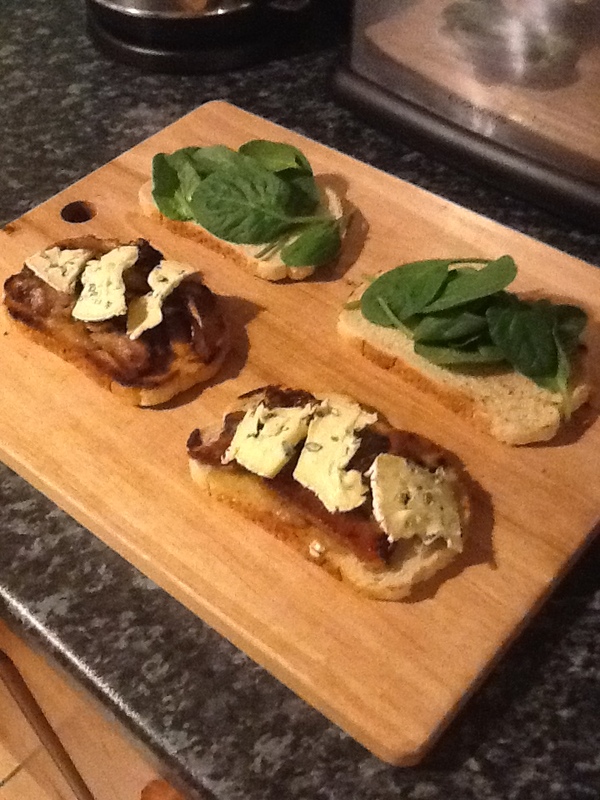 on one piece of bread, lay the pork on top, slice blue cheese over that, add a bit of spinach, smoosh together and enjoy. And enjoy it you will. Every. Mouthwatering. Bite. Note: Best enjoyed the morning after the night before. You better find yourself some pork!